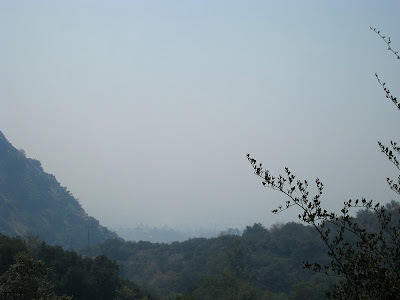 The smoke from the La Canada (Station) fire came in with a vengeance this morning. This is facing south overlooking the city. It's in that smoke somewhere. I keep looking up there from across the basin and it looks very scary even from here.